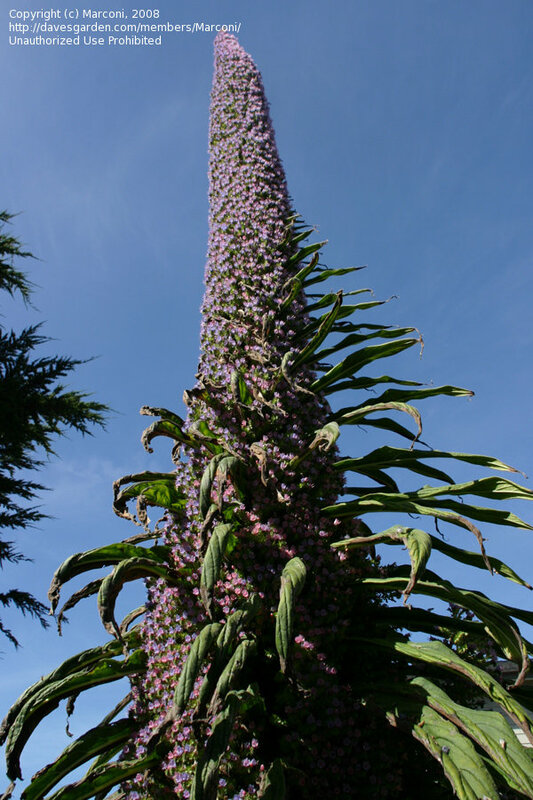 Closeup view of Tower of Jewels in North Bend. 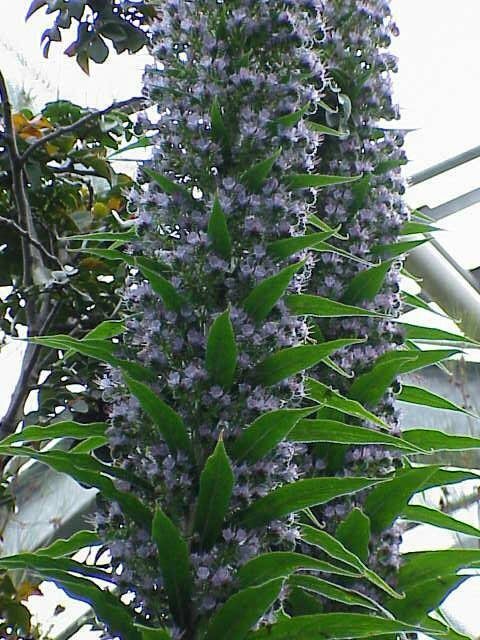 Echium pininana seedlings..in front seedlings of Perovskia. 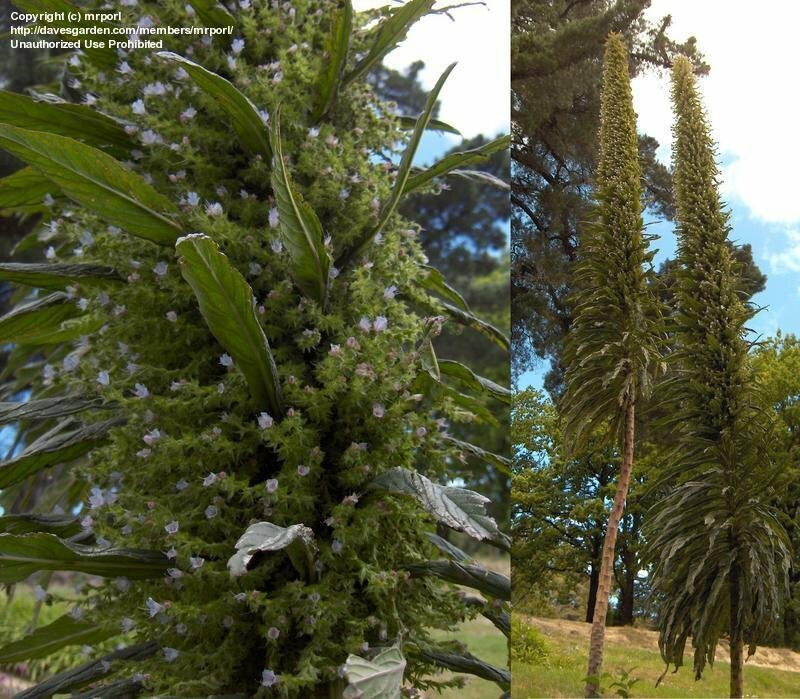 Growing Dunedin Botanic Gardens, New Zealand. 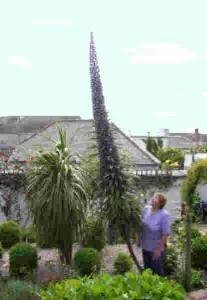 These plants get HUGE! 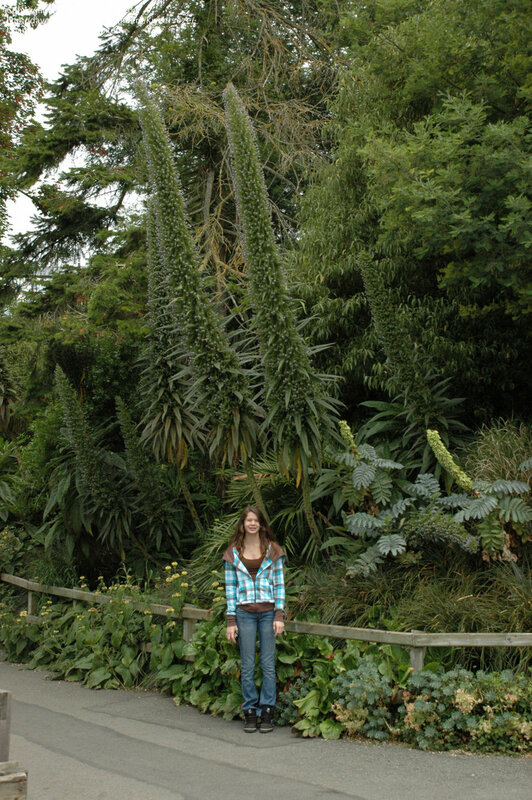 My daughter who was sooo excited about posing for the picture is 5'8" tall. 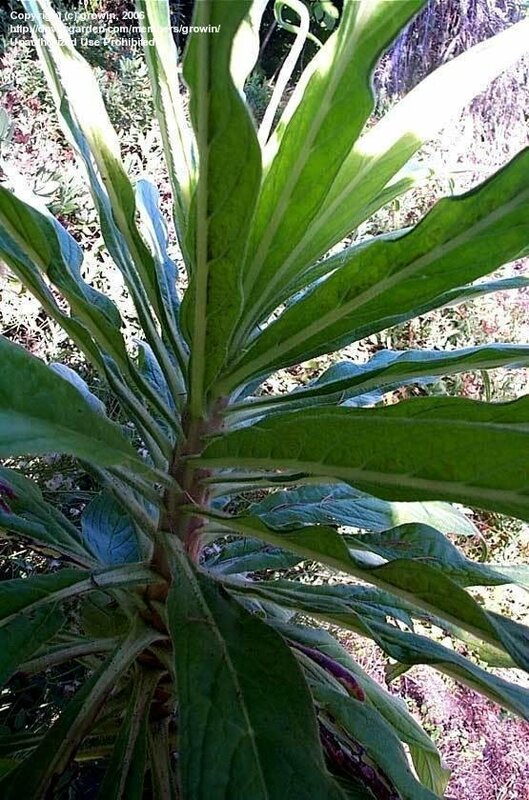 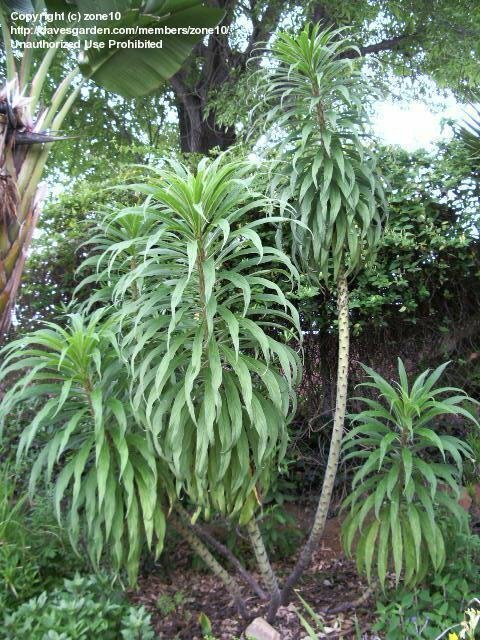 Very interesting plant if you have the room. 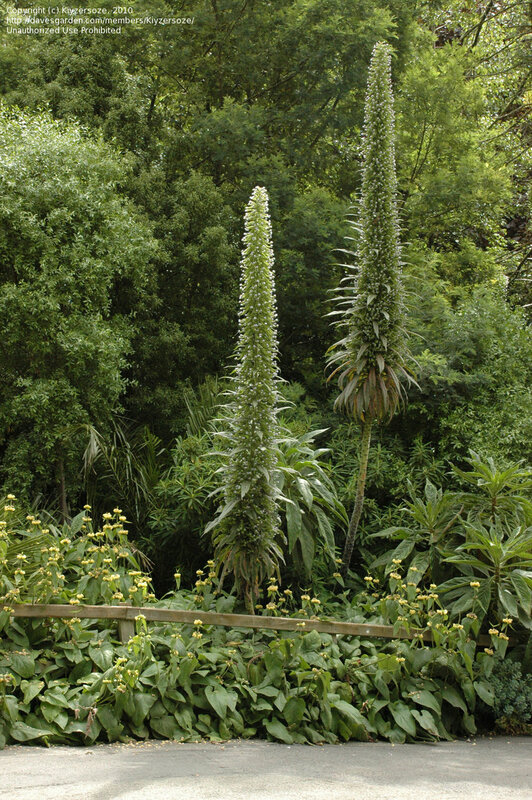 These are growing in Dublin Zoo, Dublin Ireland. 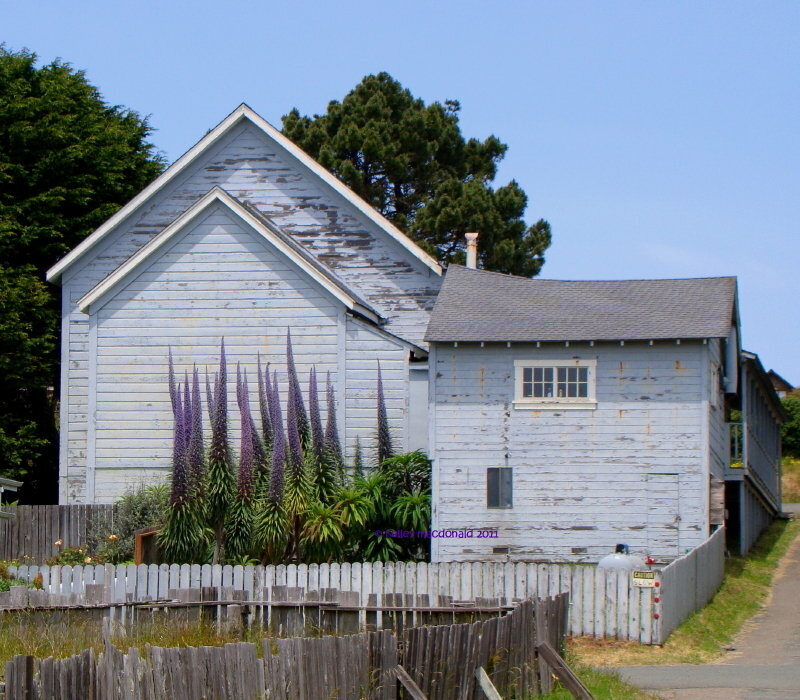 Volunteers are found all over Mendocino, California. 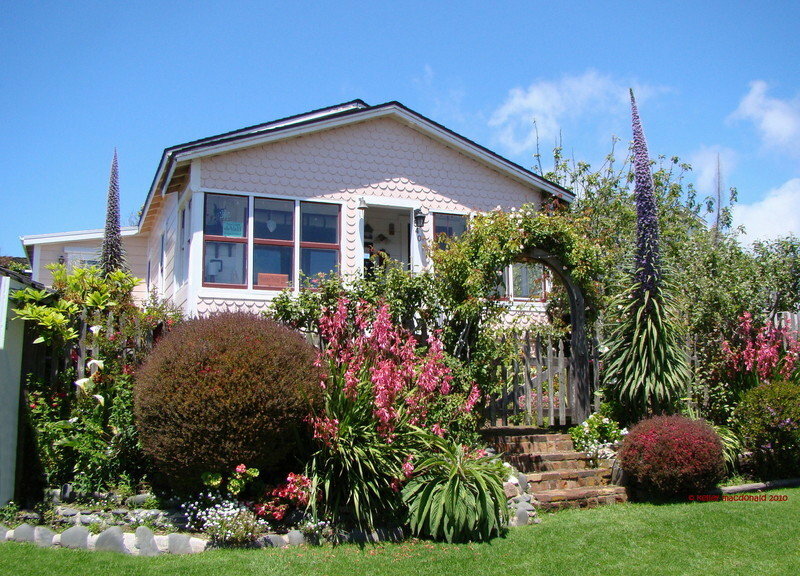 They so add to the charm of this quaint coastal town. 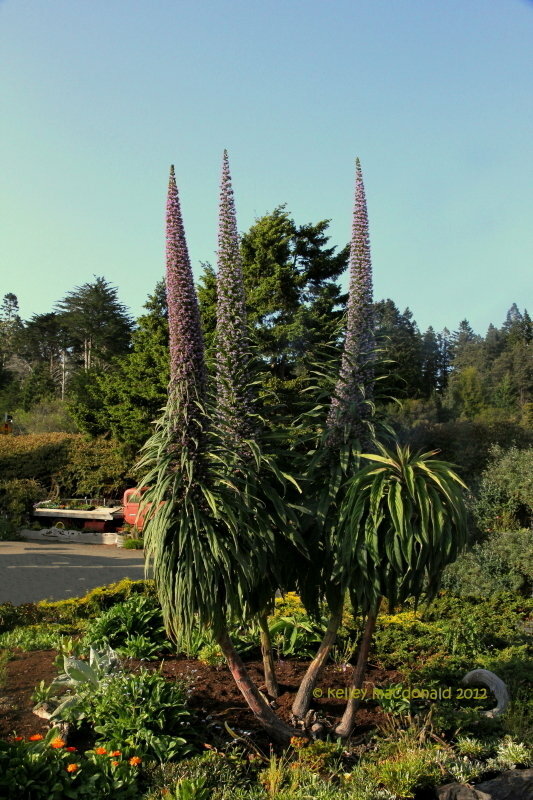 Volunteers are found all over Mendocino, California. 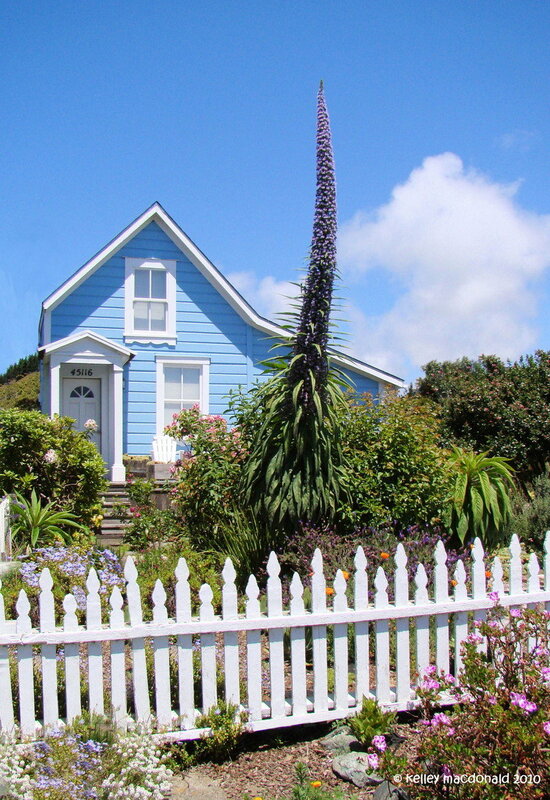 They so add to the charm of this quaint coastal town. 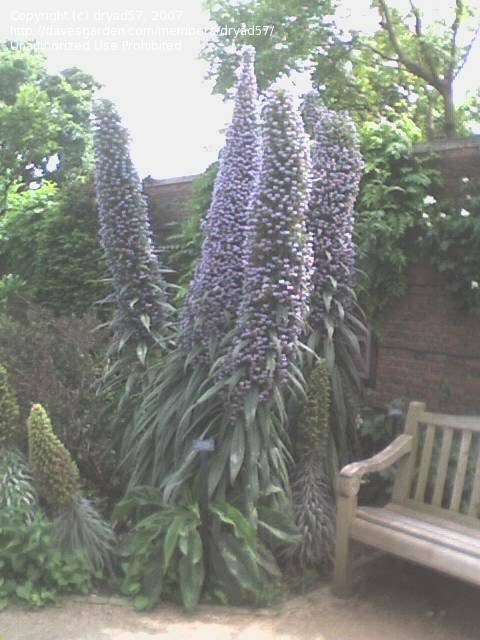 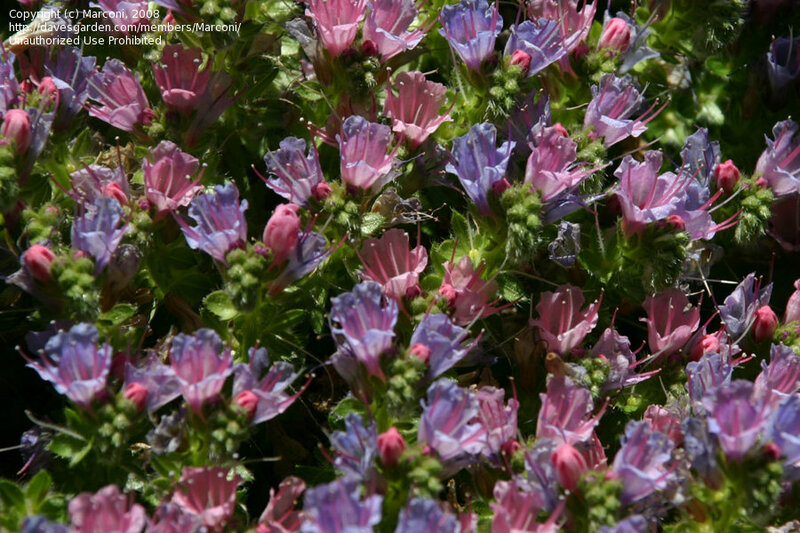 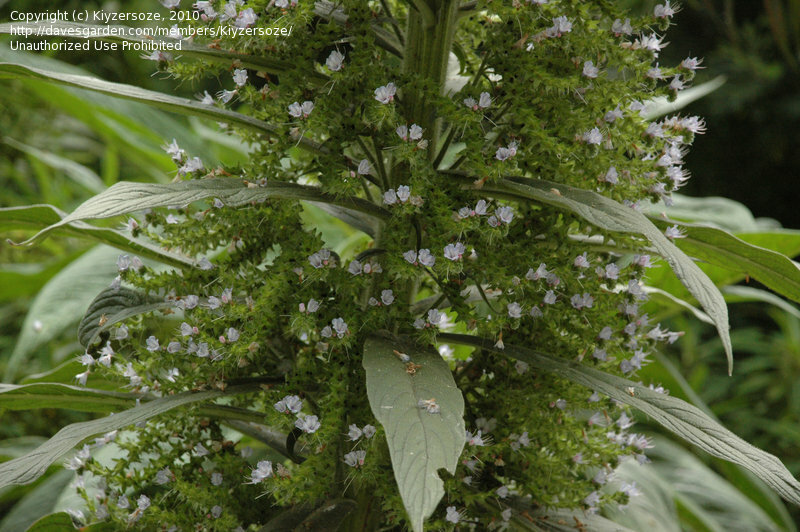 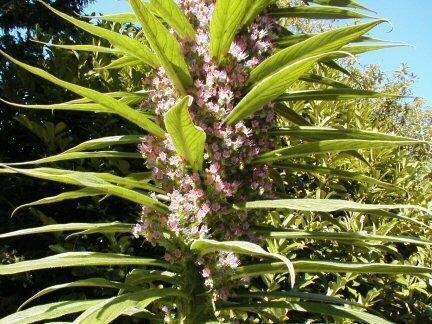 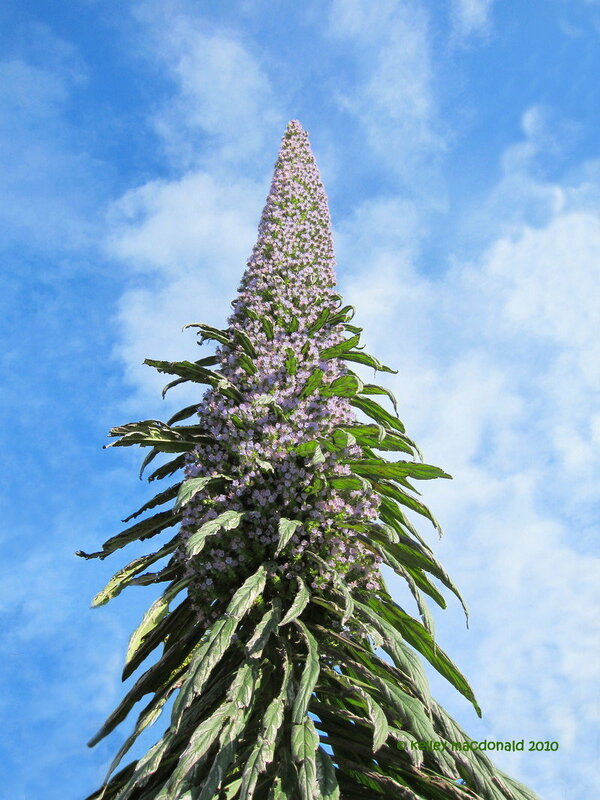 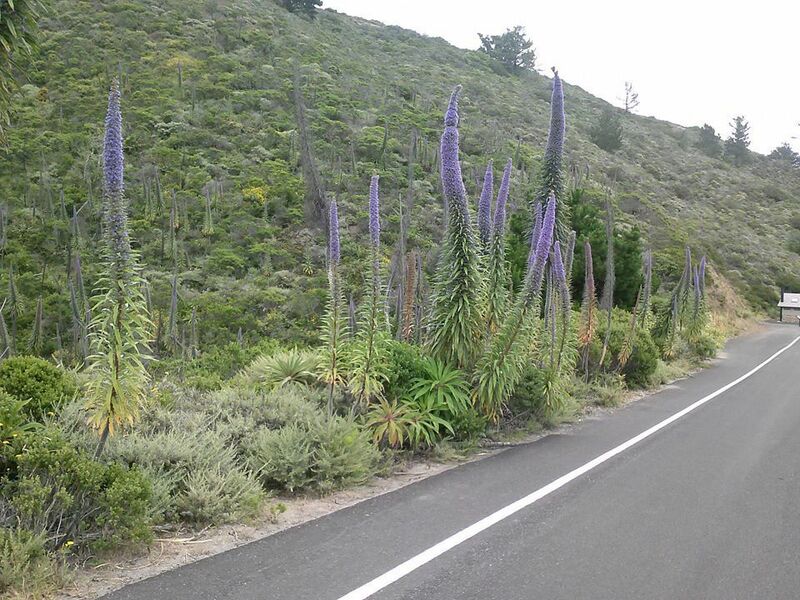 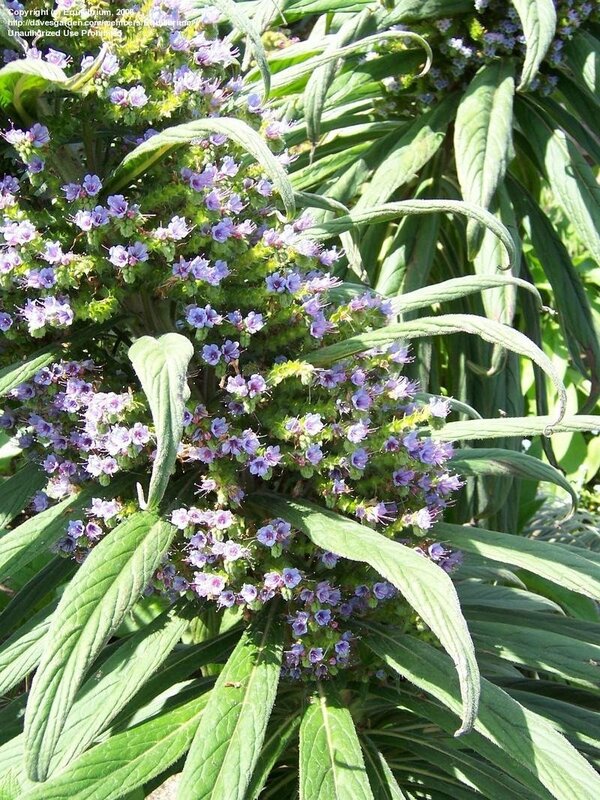 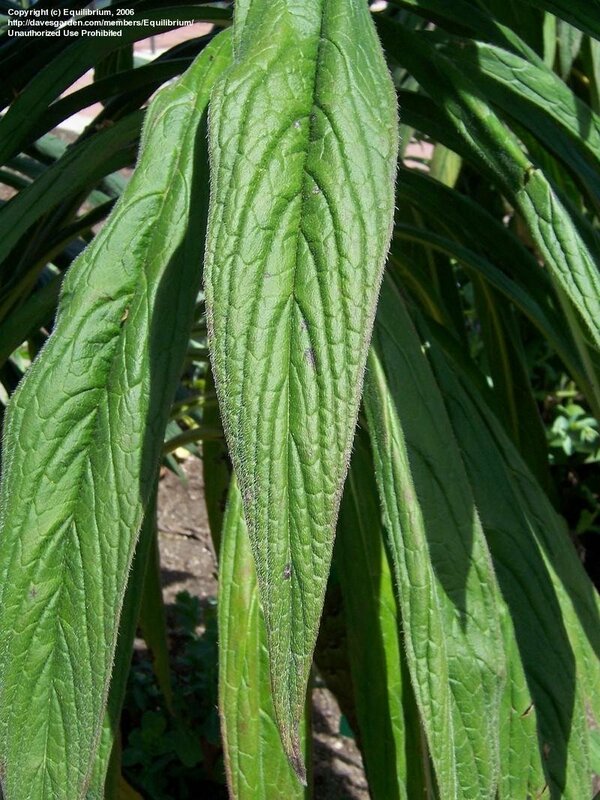 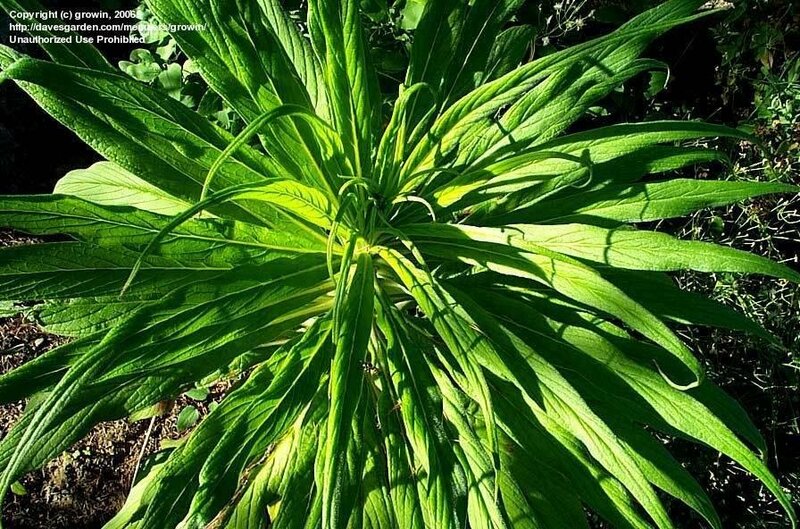 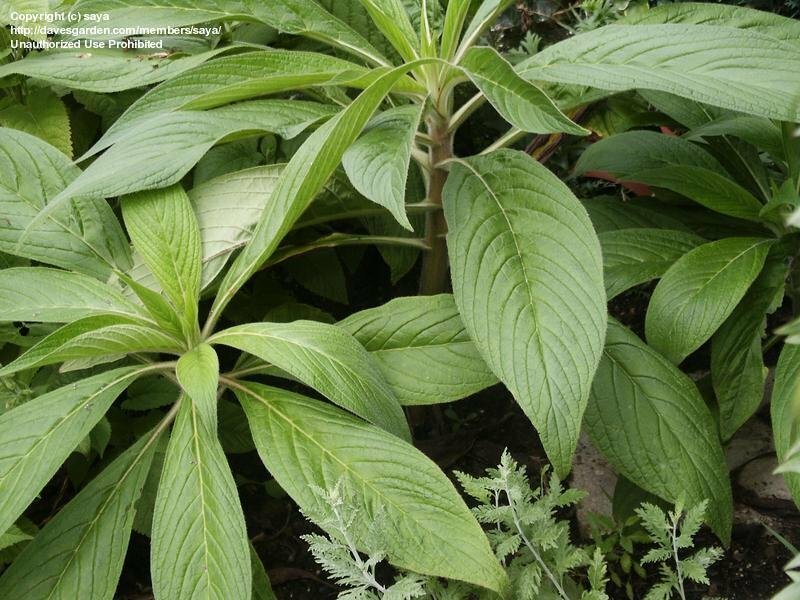 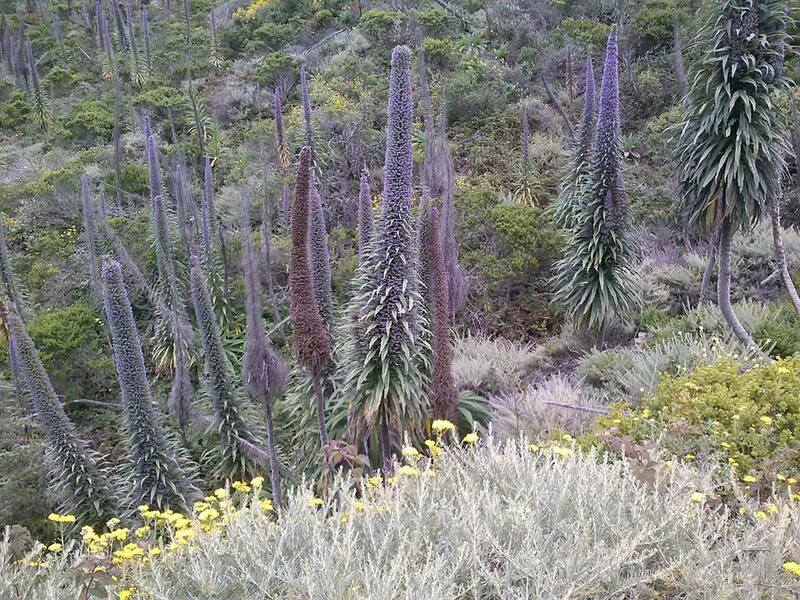 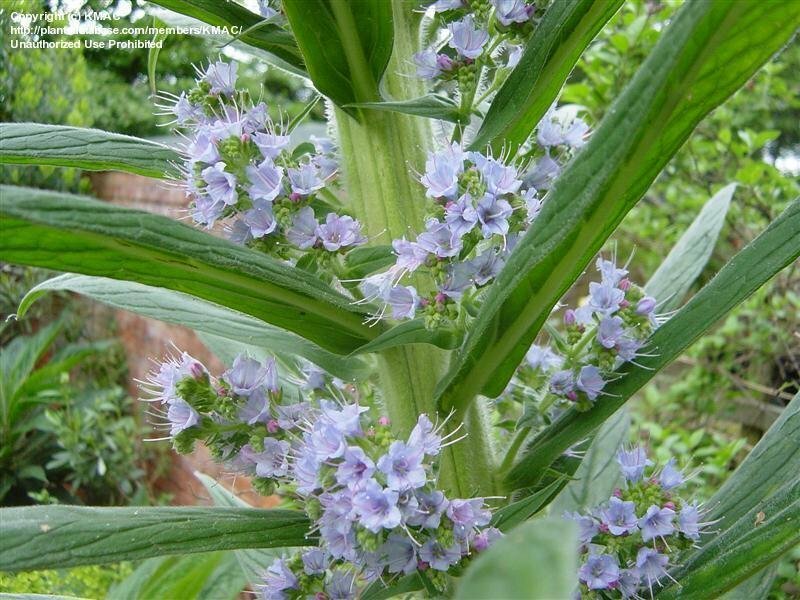 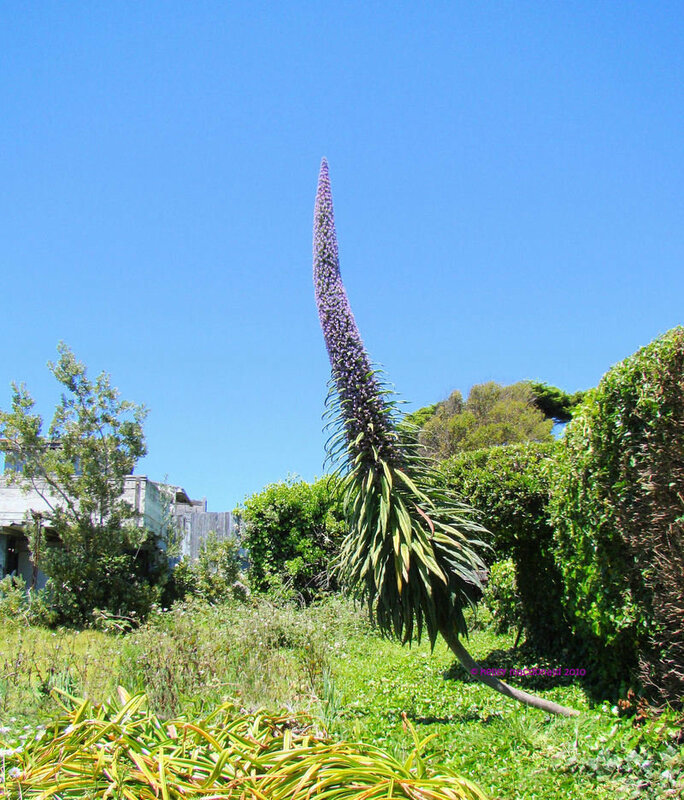 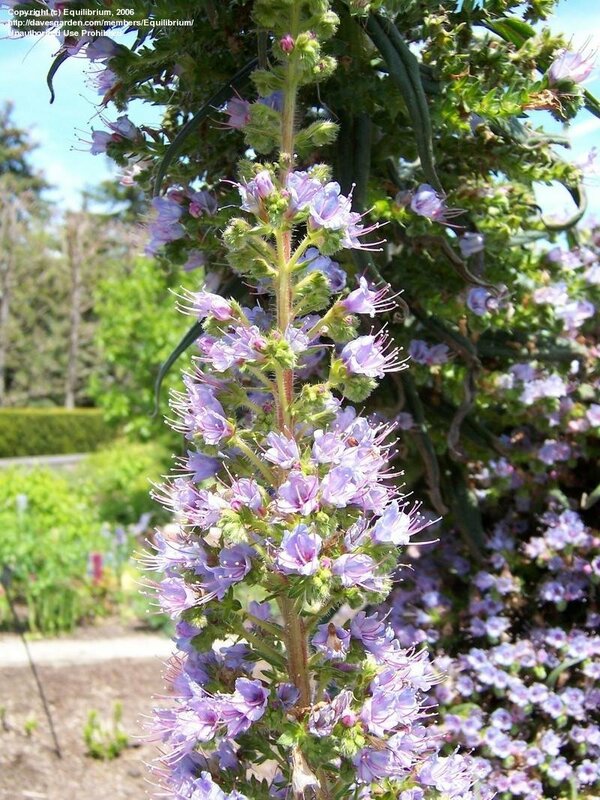 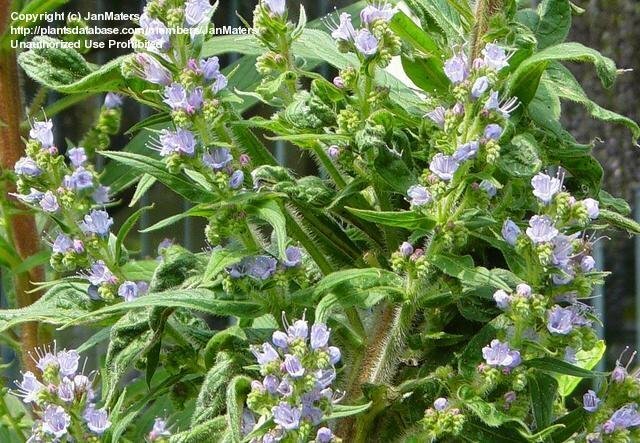 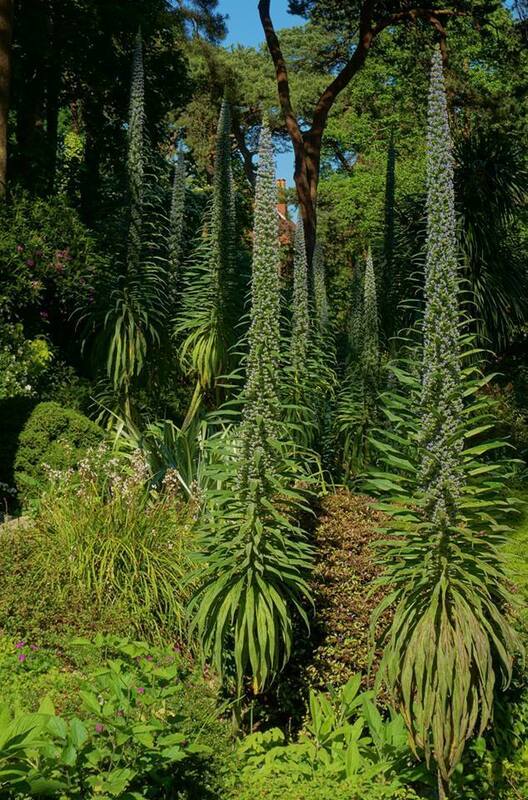 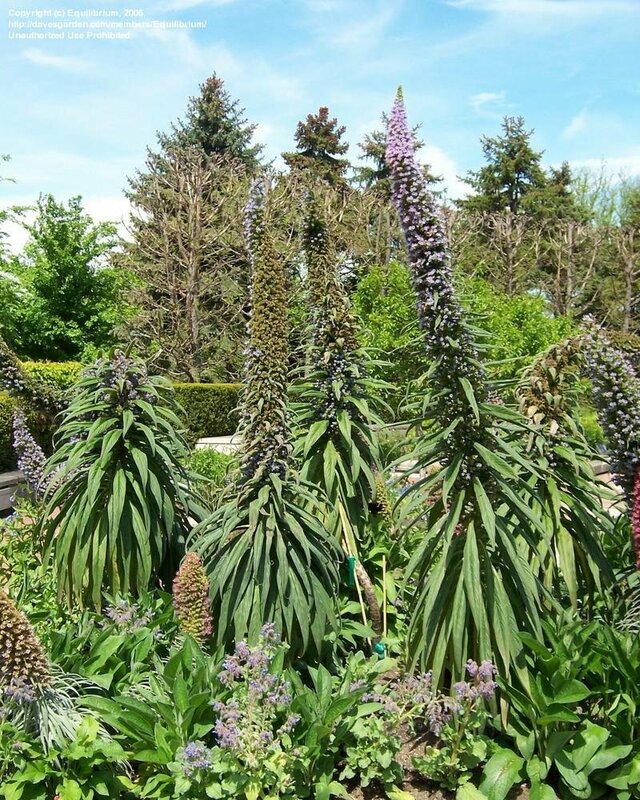 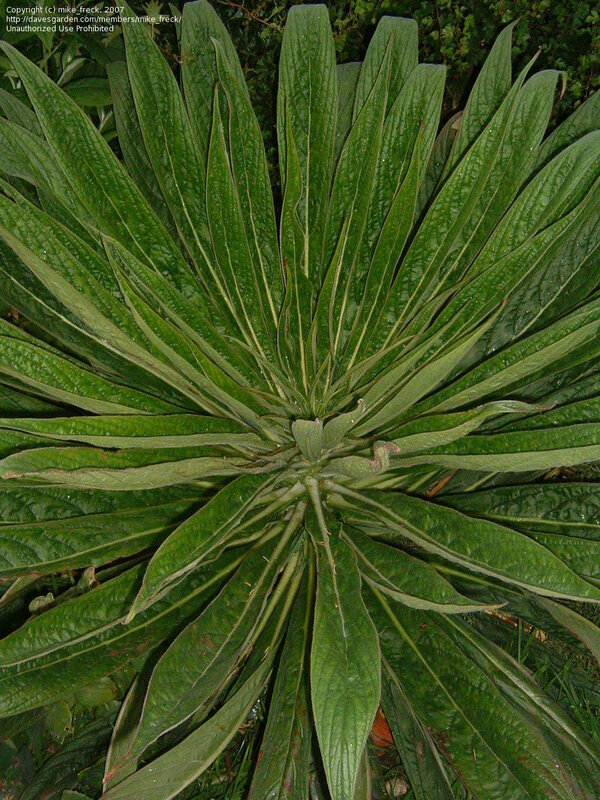 Cluster of blooming echium with a young nonblooming one on the left. 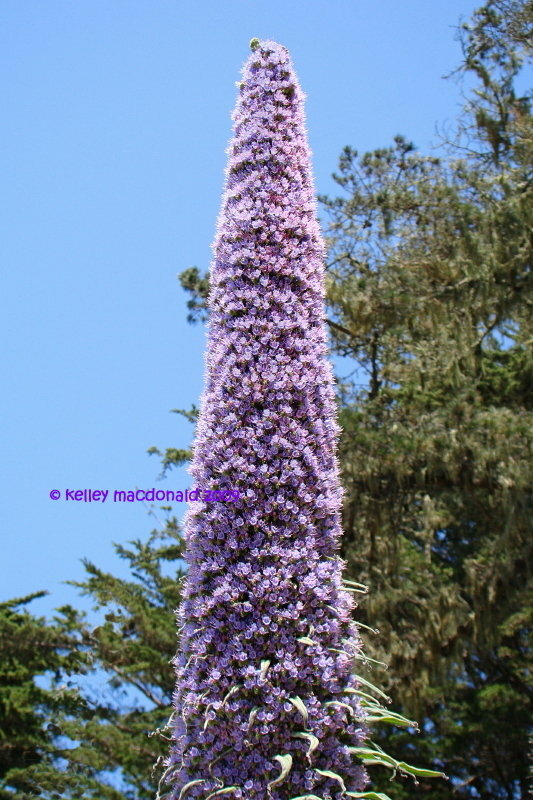 These volunteers are all over Mendocino adding so much charm. 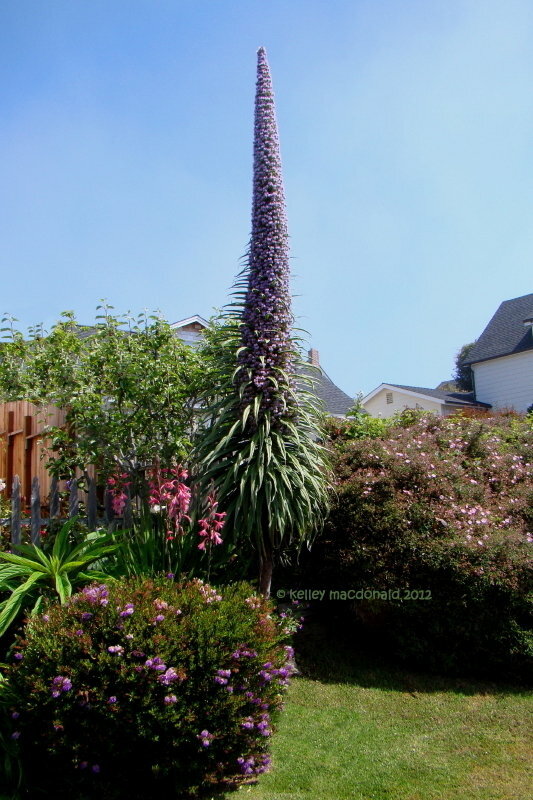 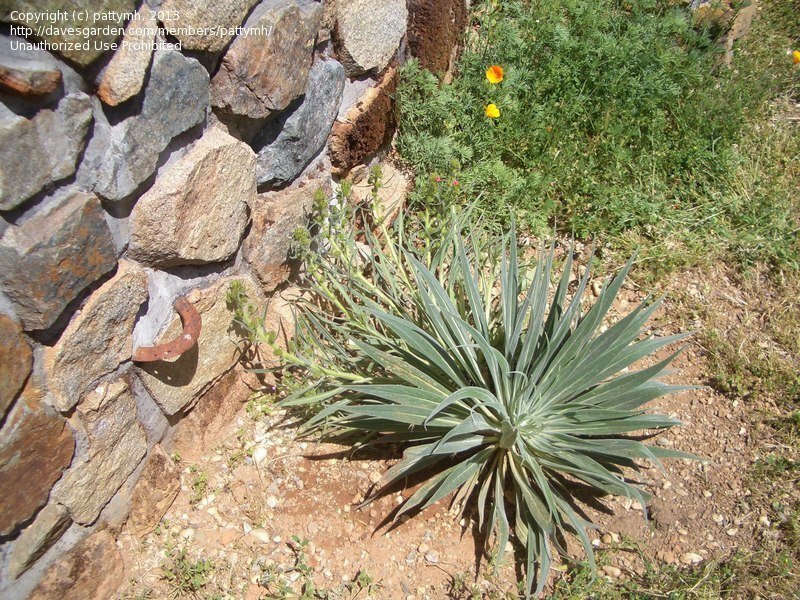 They were bought here by the Portuguese settlers from the Azores and the Canary Islands and thrived. 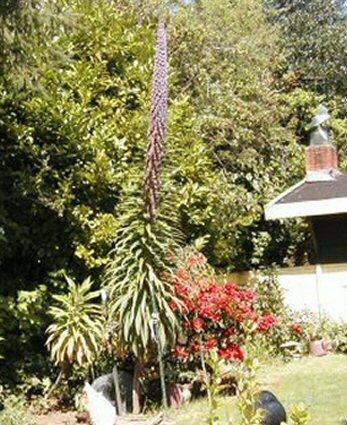 Tower of Jewels with "host" plant? 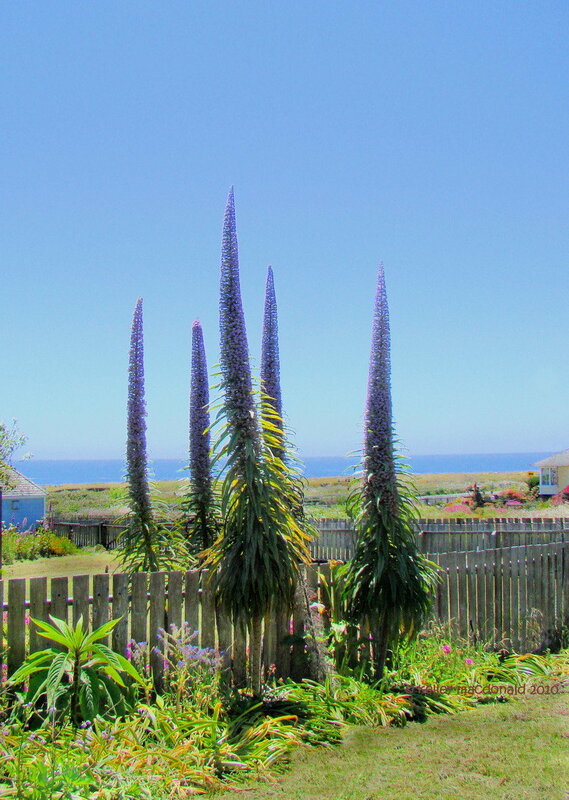 Along the California coast. 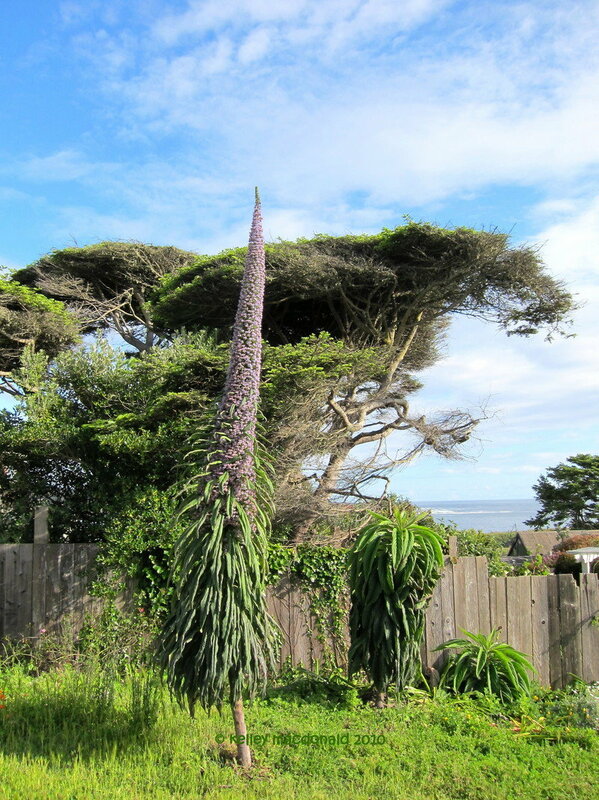 Copyright of, courtesy of David Feix, of David Feix Landscape Design in the East Bay and San Francisco Peninsula.